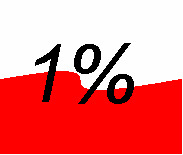 1% OF TAX FOR PUBLIC BENEFITS ORGANIZATION- THE RULES HAVE BEEN CHANGED! None of taxpayers are preordained to pass on all his tax to the revenue office having possibility to pass on 1% for any public benefis organization. It can be done by all the payers of income tax from natural persons, payers of tax with lump from registered incomes and payers running single-handed business using a linear 19% tax rate. 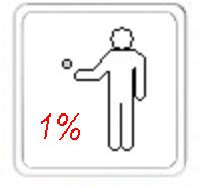 Since this year on, there will be an essential change of rules when passing on 1%! It is no more needed to transfer money by qourself, and then to deduct it from your tax. The revenue office will do this itself! The only thing which you need to do, is to fill up a blank in your tax testimony (PIT-36, PIT-37 or PIT-28). After having estimated how big tax are you to pay this year, you must fill in one of the last blanks the name and a KRS number of the organization which you want to donate your 1% of tax. All our details are presented below. Please, note that the amount of passed money cannot surpass 1% of tax. The money - 1% of due tax - will be passed to your chosen organization by the revenue office in period of 3 months. 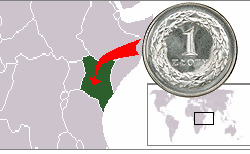 The amount will be decreased by a transfer cost. Note that one tax payer cannot share his 1% between more than one organization. Passing on 1% will be valid only in those testimonies which will be testified in due time.